Vijay Cements is dedicated to providing the highest quality products in the industry. Our quality control laboratory utilizes state of the art equipment to ensure that you, the customer, are always delivered a quality product. 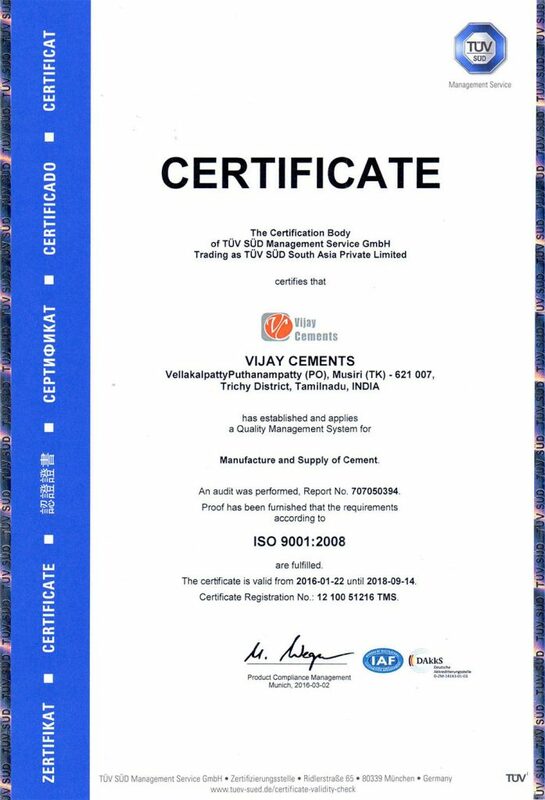 Right from the very first ton produced, Vijay Cements’ greatest competitive advantage has been it’s focus on high quality products. This focus has given the Company an entry into markets that are the most demanding in terms of the quality and performance of the cements they consume. Our Plant has stringent quality control procedures in place for testing at every stage of production and we are certified with the standard of IS 1489-Part:1-1991 and 5S Certification.